Business VoIP is a special type of VoIP phone service that is designed specifically for business use. VoIP is a type of telephone service that uses the Internet to make calls. Business VoIP service takes advantage of how VoIP works to offer high-quality business-grade features and unlimited local and long distance calling plans for increased savings when compared to traditional business phone service. Why choose a business VoIP provider? There are many benefits to choosing a business VoIP provider for your office telephone service; most are related to increasing efficiency and saving money. Most VoIP business plans have low starting rates for unlimited domestic calling and cheap international calling. With a business VoIP provider, you usually get a PBX included and special features included in your telephone plan free. Upgrades and changes to your phone service are very easy. Business VoIP plans are usually organized by office size so that you can pick a plan based on the number of phones and lines your office will need. 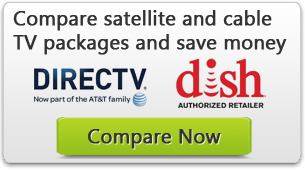 If you’re comparing rates for the same product, AT&T charges around $50 a month for an unlimited local and long distance calling line. Jive, a VoIP service provider, charges $19.95 a month for unlimited local and long distance calling (Jive also doesn’t require a year-long contract). The $30 a month difference is $360.60 a year. With larger business, the amount VoIP saves increases. For example, with an office of 50 or more employees and a calling plan from Jive, a business VoIP provider, you spend $19.95 a month per user. This gives each user unlimited domestic calling. In a year, a company with 50 employees spends $11,970 for unlimited domestic calling with Jive. Compare this with the rates for a comparable plan with AT&T. At AT&T, a small business solution will cost $1,600 a month to buy 30,000 minutes for 50 employees. After a year, this plan costs $19,200. Using VoIP service would save you $7,000 a year. If you have an analog phone system in your office, then you most likely have a PBX, or private branch exchange. A PBX allows an office to perform many calling necessary functions, like call forwarding, call conferencing, hold, and routing to different extensions. With an analog phone system, a PBX is a costly piece of hardware that requires installation, maintenance, and sometimes a manual operator. With a business VoIP provider, on the other hand, you will get a hosted PBX included in your telephone plan, usually for free. A hosted PBX performs all of the same functions as a standard PBX, but without any of the extra equipment or fees. A hosted system is stored, maintained, and operated by the business VoIP provider in a remote location. Unless otherwise noted, all the VoIP providers listed above offer a hosted PBX with the cost included in the per line cost of their phone system. As a point of comparison, a traditional PBX system can cost up to and over $1000 for the hardware. For example, an 8 line PBX like the Grandstream 8 Lines IP PBX costs $869 at market price. After that, you may have to pay around $100 an hour for installation and maintenance (such as adding a new extension). If you need a manual operator, they are usually paid about $10/hour. So that’s where we got the “Business VoIP can save you $1,000 or more on equipment” claim from before. As a sidenote, hosted PBX makes adding new features and new extensions really easy. All the routing is done on a computer, so you don’t need to make any changes in your office. Usually, you just need to tell the VoIP provider you have another extension and plug in the phone. There are some basic business phone features that an office can’t do without. All of these features are offered in traditional phone service as well as VoIP service, but in most instances, these features are cheaper and easier to use with a VoIP provider. Voicemail to email transcribes your voicemails to text so that you can read your voicemail as an email on any device with an email app. Phonebooth, a business VoIP provider, includes unlimited voicemail to email transcriptions for no extra charge in their basic business plan for $20/month. Voicemail to email also forwards the audio recording to your email address so you can review voicemails while mobile. Find Me/Follow Me is a service that works by automatically dialing a sequence of other phones if you don’t answer your office phone when it rings. This means that if you are away from your desk, Find Me/Follow Me will ring your cell phone if there is a call on your office phone. At Phonebooth, this feature is included in their $20/month basic business plan. An auto attendant provides your customers with a menu to reach extensions or hunt groups in your office phone network. These may be voice operated or dial pad operated. With Phonebooth, this service is included for no extra charge in their basic business plan. Voicemail to email is available with AT&T as an addition to individual plans. This service costs between $3.99/month and $10/month (it can vary based on the requirements). AT&T also offers a few takes on hosted PBX/hosted VoIP service. AT&T Voice DNA, $45/month with a $100 startup fee, has a Find Me/Follow Me feature. However, auto attendant is not included in the basic Voice DNA package and is only available as an add-on for the $50/month premium package. AT&T also offers a full-blown hosted PBX auto attendant with their hosted PBX service. Their hosted PBX service starts at $32/month and does not include the cost of phone service.